Do you need some work done on your pipes? Maybe you need help with pipe repairs and leaks in Canandaigua, NY. At G.T. Campbell, we are here to help you with whatever plumbing needs arise in your home. 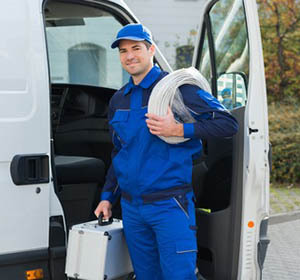 our plumbers in Canandaigua NY will work with you to make sure that all of your leaks are taken care of and your pipes are repaired so they are working as well as they possibly can. Some leaks in your pipes are obvious. You might see water spraying everywhere or have walls, floors, or a ceiling that has been soaked through. However, sometimes leaks aren’t so obvious. This can happen when your pipes leak slowly, or when the leak is in a rarely-used location. For these leaks, you’ll have to discover the leak in other ways. Just because the leaks are slow, though, doesn’t mean that you don’t need help with pipe repairs and leaks in Canandaigua, NY. Look for unexplained mold and mildew growth. If you have this appearing somewhere, like maybe in your bathroom or on a particular wall, it can indicate a leak. Damp conditions, like those created by a leaky pipe, are the perfect conditions to make mold and mildew grow. You can also keep an eye on your water bill. If it is going up and you don’t know why, there’s a good chance that you have a leak. Even slow leaks can cost you a surprising amount in water every month. If you have either of these indications, give us a call. We’d be happy to help you figure out what is going on and help you with pipe repairs and leaks in Canandaigua, NY.